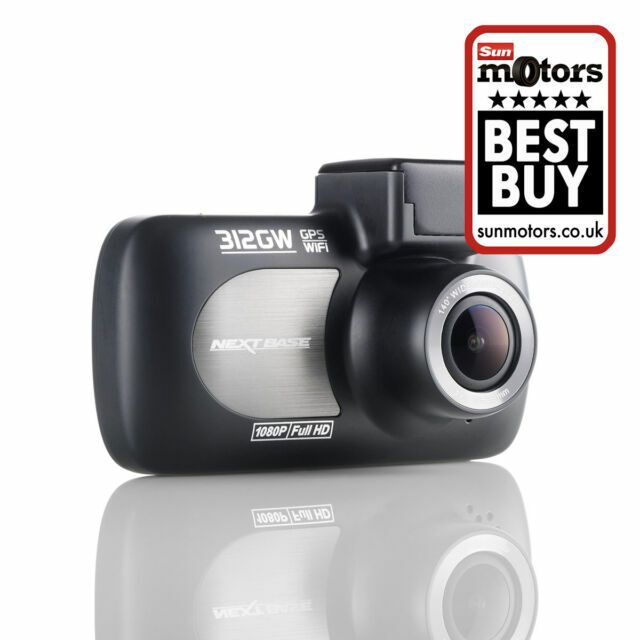 IN-CAR CAM™ 312GW Dash Cam | Nextbase. Introducing the most connected dash cam in the world! Car power cable. Grade C: Products have marks and scuffs on the body or screen, it’s perfectly usable and everything works. I bought £30 and £40 dash-cams but they always give me problems either with wifi or just in general. Pay this little bit extra and get a dash-cam that you just "plug and play". It is so easy to use. My old fingers can press the relatively large buttons with ease and the video quality is great. I was so impressed that I bought for the front and rear of my car. The only gripe I had is that the suction cups do not stick well...if anything they are too small for the weight of the camera...otherwise a great product and well worth it. My first Dash Cam, easy to install and very neat design, great magnetic mount means is a doddle to remove. I am very impressed with the ease of use, its straightforward and clear menu makes this simple. GPS is accurate and the video stamp features are helpful. Overall I would highly recommend this unit.